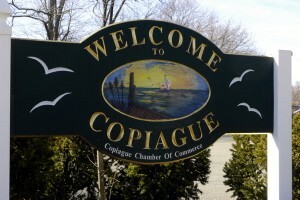 Copiague is home to the American Venice Project, a unique project meant to emulate Venice, Italy complete with bridges and gondolas connecting the neighborhoods. The Great Neck Road Elementary School is located in Copiague. Built in 1911, it is the oldest elementary school in the Town of Babylon that is still in use.